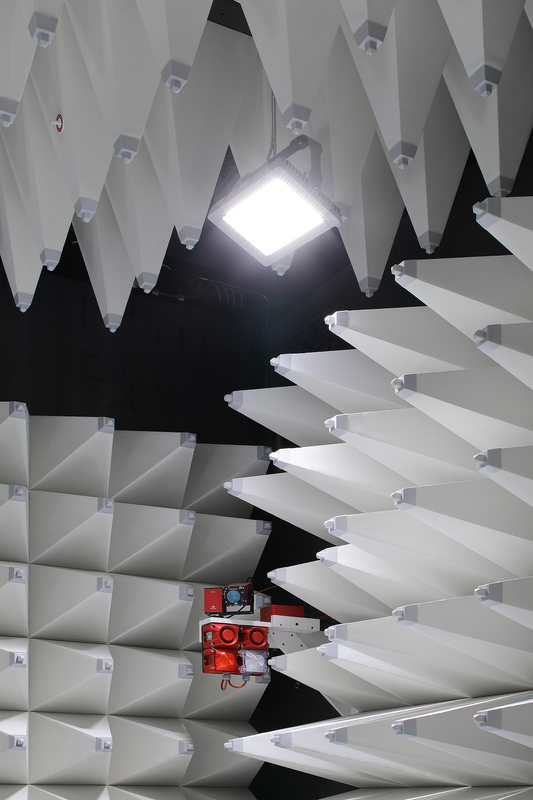 As a specialist in RF-shielding and EMC testing chambers, Frankonia offers complementary, standardized and customized products to maintain its position as a turnkey provider. 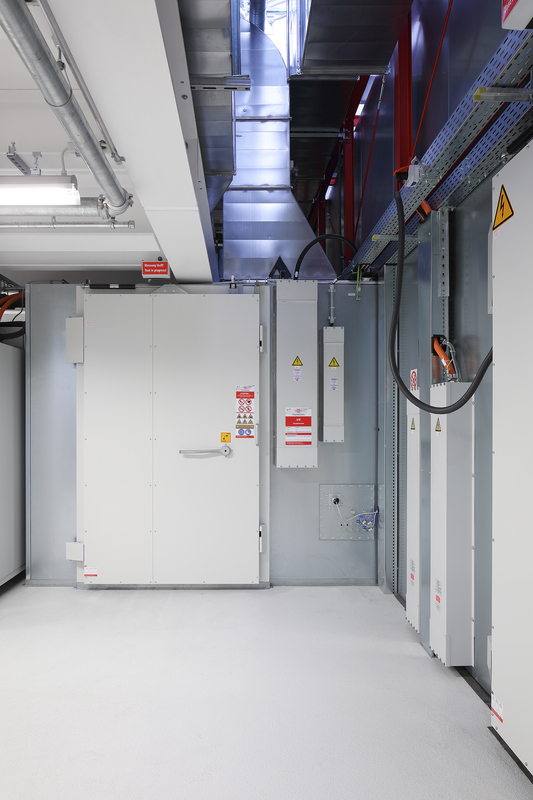 This includes, for instance, connection panels (CP) located in the floor, penetration panels (PP) incl. connectors located on the wall, wave-guide components for liquids, air or gases, fiberglass feed-through components, special cable feed-through via RFI trap, and all kinds of ventilation and air conditioning. 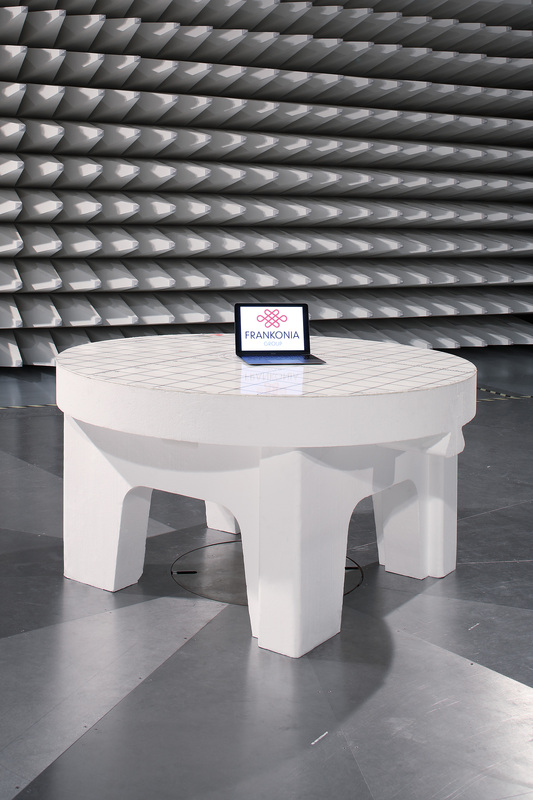 Frankonia’s grounded test table FGT has been designed according to CISPR 25. The table itself is made of wood and is optionally equipped with wheels and brakes for easy handling. An optional wooden support for the contact strips facilitates the correct connection to the F-contact bar that is integrated into the absorber lining. 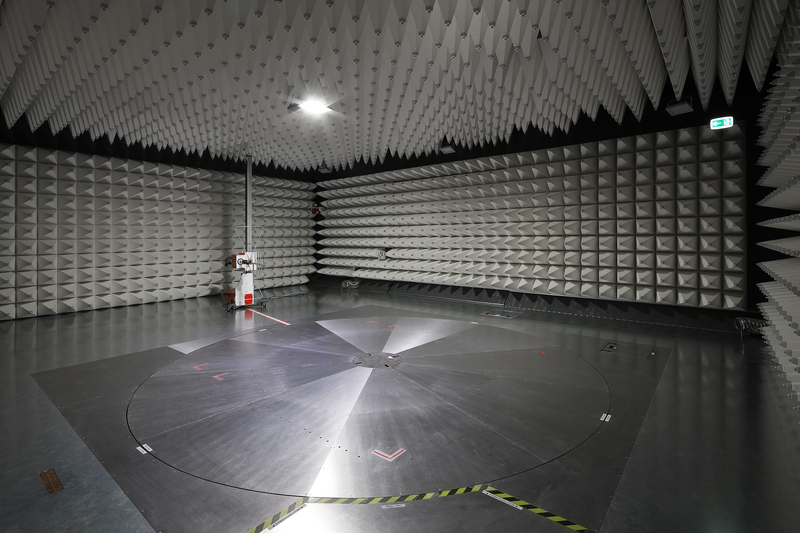 Frankonia’s low reflective test table FTT has been designed according to CISPR 22. To not affect the EMC or RF measurements, this transparent test table is made of non-conductive material that doesn’t generate reflections and has a low dielectric constant. 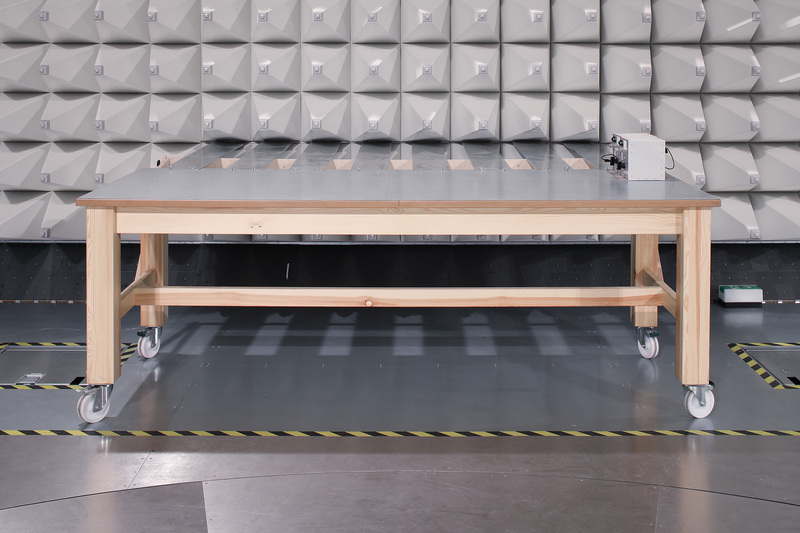 The top of the table is covered with plastic to offer a non-sensitive surface, and it provides a scale to facilitate the positioning of equipment under test. 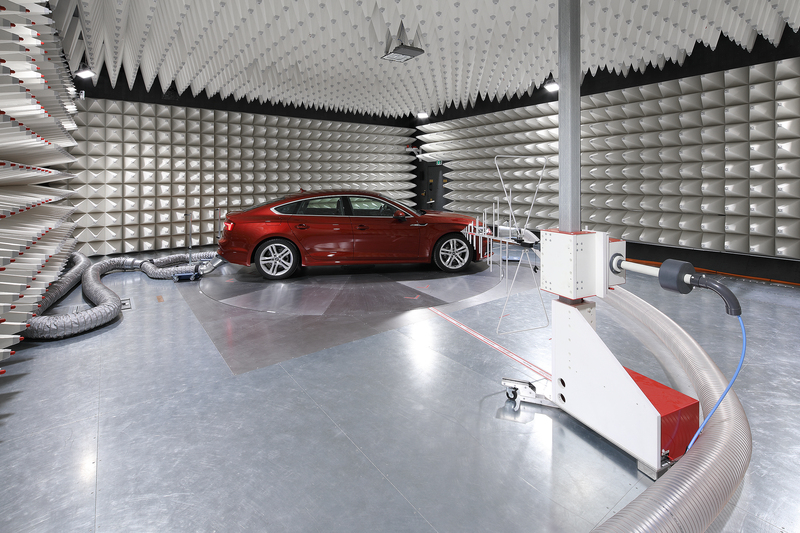 With the multi-use of modern EMC chambers, the demands on protecting people and EUT’s rise. Herewith, an adapted smoke and an advanced gas detection system ensures a consistently protected environment. 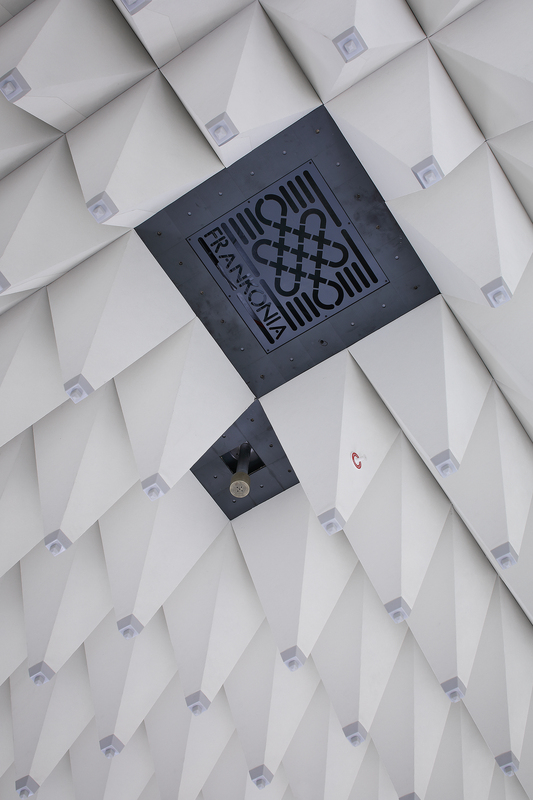 Frankonia’s smoke and gas detection system samples air inside the anechoic chamber with an implemented tube system located behind the absorbers on the roof, or at dedicated positions within the chamber. The tubes cross the shielding with special wave-guide components. An extended piping outside the chamber feed the central unit, in which the smoke and gases detection takes place. 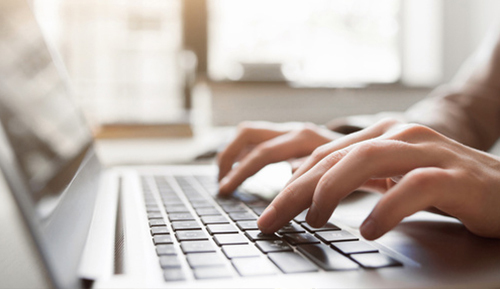 A self-sufficient alarm system is considered that meets related safety standards, which can be connected to the building warning system, in addition. Alternatively, smoke detector heads for shielded rooms can be added. 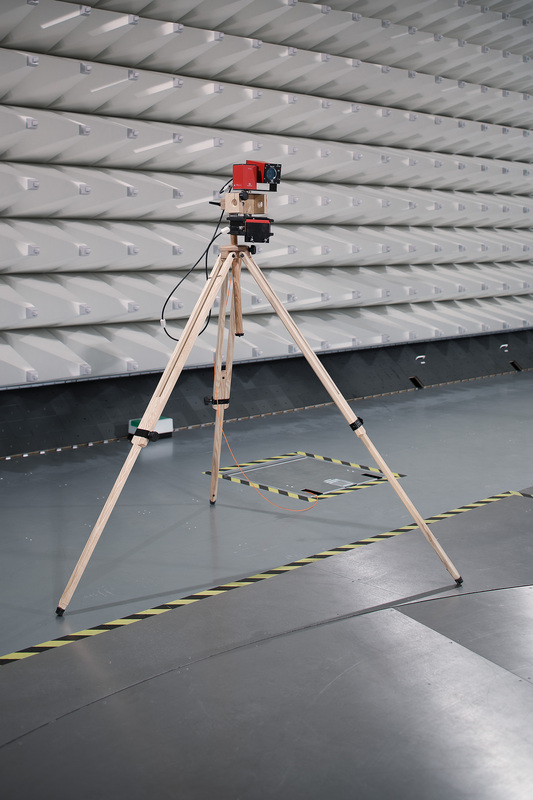 Frankonia’s shielded camera module FMC-03 is perfectly adapted to the EMC environment and to monitoring EUT’s during EMC tests. The camera module FMC-03 is available as SD or full HD version and comes with either a power supply (FPS-03) or a battery pack (FPB-03) for mobile use. Full functionality provided with Frankonia software and more remote controlled possibilities are available. Further amenities that are available for the FMC-03 are a PAN/Tilt unit and a small setting-up display. Using optic fibers, the camera systems are adapted for long distance transmission of pictures without loss of signal quality. Frankonia’s FAS is a shielded audio system, which is fully compatible with the EMC environment. 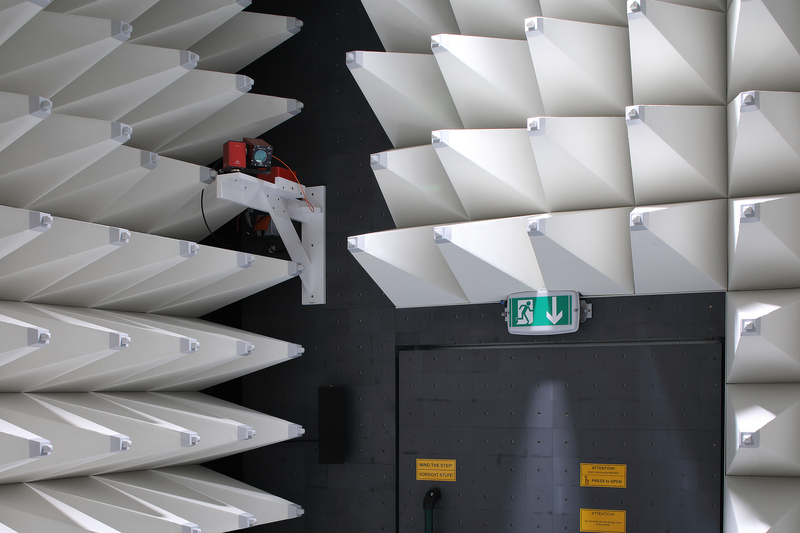 It offers the possibility to communicate between shielded rooms or anechoic chambers or to survey EUTs during EMI or EMS tests and assures high-quality communication. 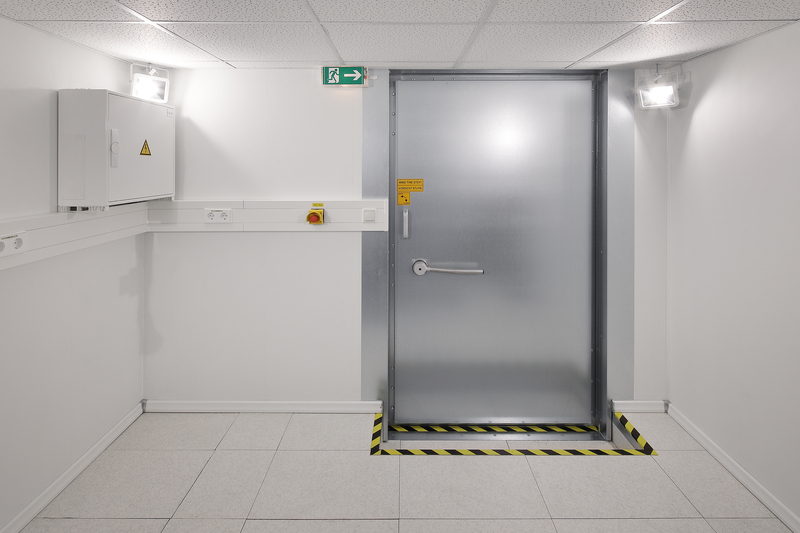 To complete each chamber configuration, Frankonia’s electrical integration is designed per European safety standards and is prepared as an upgradable solution that allows future modifications. 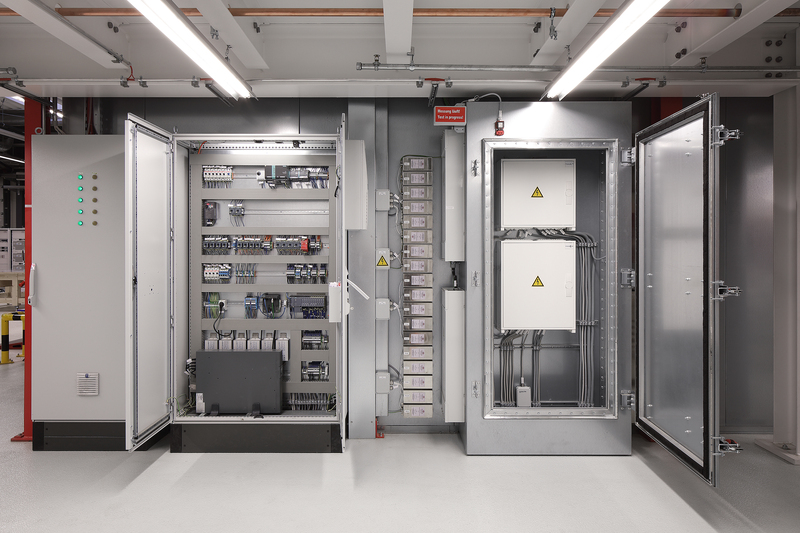 In its standard configuration, an electrical distribution box with MCB’s and RCD’s, illumination with LED lights, connection panels for the false floor, and emergency functions incl. a battery buffered emergency light are considered. 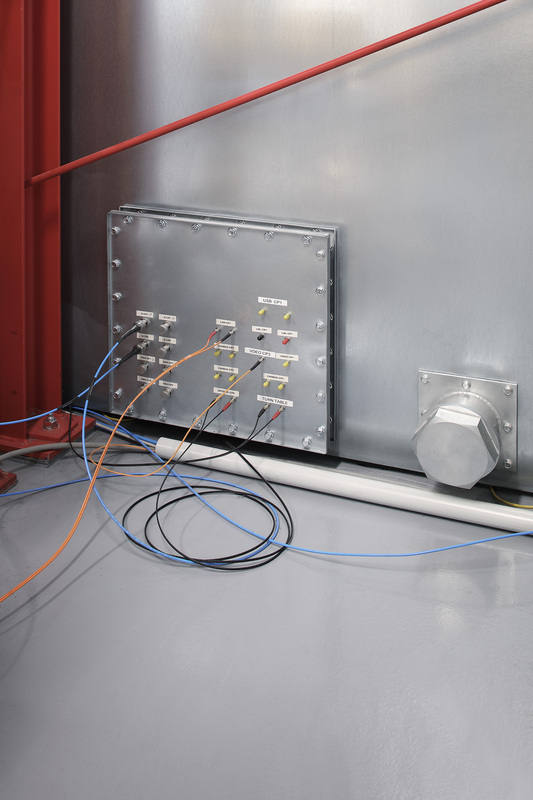 To provide the necessary power and data line connections for the EMC testing procedures, Frankonia’s connection panels can be placed in the false floor and be individually configured with power outlets and connectors. In addition to the connection panels located in the floor, the penetration panels are located on the walls. Further, a complete range of power line, data line, and signal line filters are available. Frankonia’s specially designed ducting and electrical engineering ensures the shortest cable length and highest flexibility for future modifications, as well as a cost-effective and state-of-the-art integration. 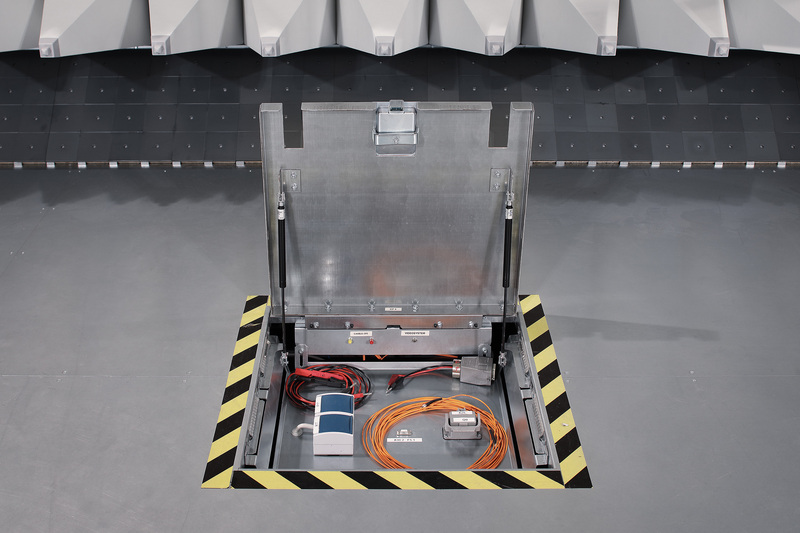 To complete each chamber configuration, Frankonia’s electrical integration is designed per European safety standards and is prepared as an upgradable solution that allows future modifications. 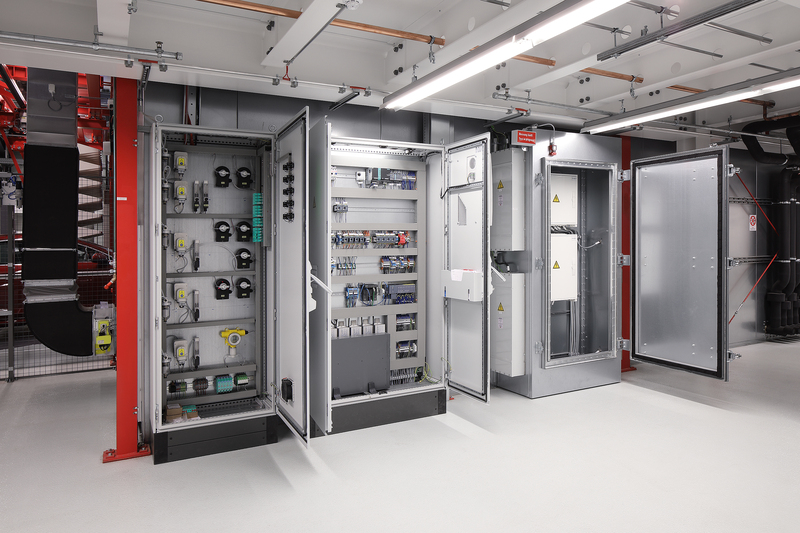 In its standard configuration, an electrical distribution box with MCB’s and RCD’s, illumination with LED lights, connection panels for the false floor, and emergency functions incl. a battery buffered emergency light are considered. 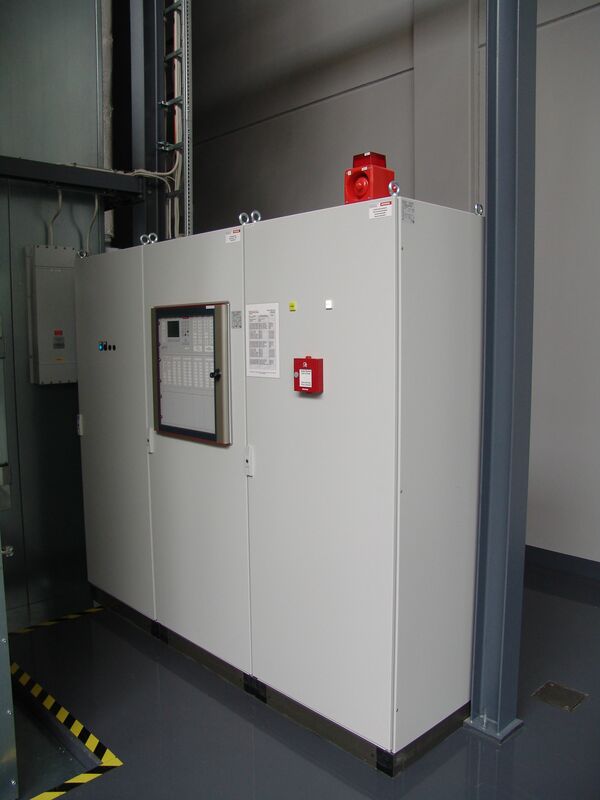 Further, a complete range of power line, data line, and signal line filters are available. Frankonia’s specially designed ducting and electrical engineering ensures the shortest cable length and highest flexibility for future modifications, as well as a cost-effective and state-of-the-art integration.